Over 30 people have been held hostage in a suburban village in Hanoi on Sunday. 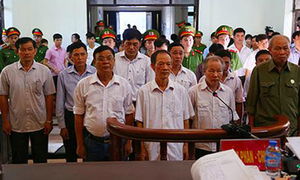 Hanoi municipal authorities have called for the release of many police officers who have been held hostage by disgruntled villagers of My Duc District on Sunday over a land dispute. "All unlawful actions must be stopped," the city said in a statement Sunday. Land violations have recently become frequent, according to the city authorities. Despite multiple dialogues and attempts to resolve the situation, "the situation is escalating." On Saturday, Hanoi police detained four people from My Duc's Dong Tam Commune, around 30 kilometers (19 miles) in the outskirts of the capital city, and launched a criminal investigation for disrupting public order. The arrest resulted in a clash with the villagers, who subsequently took hostage over 30 people, many of them policemen. The exact number of the police officers held hostage is not immediately clear. Roads leading to the communal house, where the officials are held, were blocked by a crowd of around 30 holding sticks as of Sunday afternoon. Two men who identified themselves as commune representatives said they wanted the government to release the detained villagers. "All we want is for the land to be cleared in accordance with the law," one woman told VnExpress. "We provide enough food and water for the police officers and we treat them courteously," a resident named Loan added. 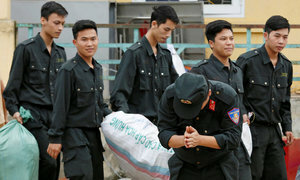 Hanoi authorities are taking measures to rein in the situation with priority given to rescuing the detained officers. Local authorities have also urged the residents to stay calm and cooperate and ensure the safety of the officers. 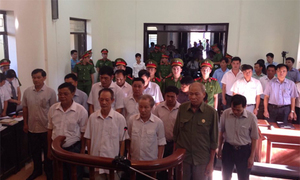 Land grievances remain the main source of concern and protests in Vietnam. How much is a piece of Ho Chi Minh City's ‘golden’ land worth?